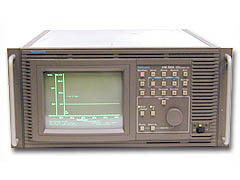 Tektronix VM700T - NTSC / PAL Video Measurement Set with Options 01, 11 & 48. Recognized as the de facto industry standard that keeps pace with evolving customer needs, the VM700T is a total solution for your baseband video and audio monitoring and measurement needs. Features such as an extremely fast and fully automatic measurement mode as well as full manual operation provides the first time user as well as the seasoned professional an unequaled value for their test and measurement investment.